We have our ways to deal with the impasse. As far as I know, her health is in good condition. 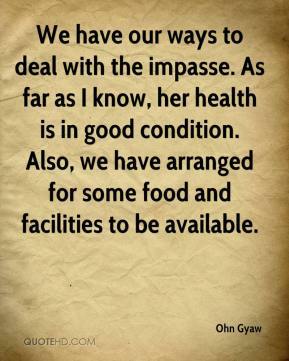 Also, we have arranged for some food and facilities to be available. We in Myanmar strongly believe that the path we have chosen is the right one and is most suitable to our tradition. 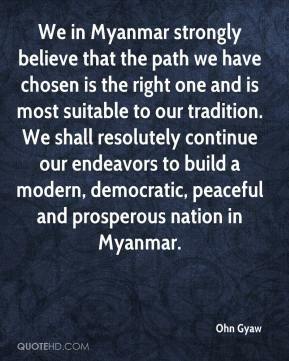 We shall resolutely continue our endeavors to build a modern, democratic, peaceful and prosperous nation in Myanmar.